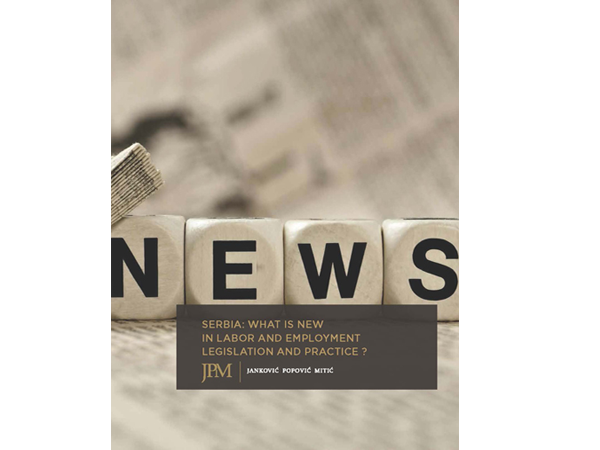 Ministry of labor issued a new checklist which will be used by Labor inspectorate during its controls of business entities in Republic of Serbia. Additionally, there is the first final and binding verdict regarding the whistleblowing in our country, delivered by the court in Novi Sad. This verdict protects the rights of whistleblower according to the Law on protection of whistleblowers, which began to be implemented more than two years ago. Finally, there are many upcoming labor-related laws which are important and expected to be adopted in the near future. You can find more information on all of these issues in our latest Newsletter.